1948 specification guide sign shield. Manufactured between 1948 and 1956. 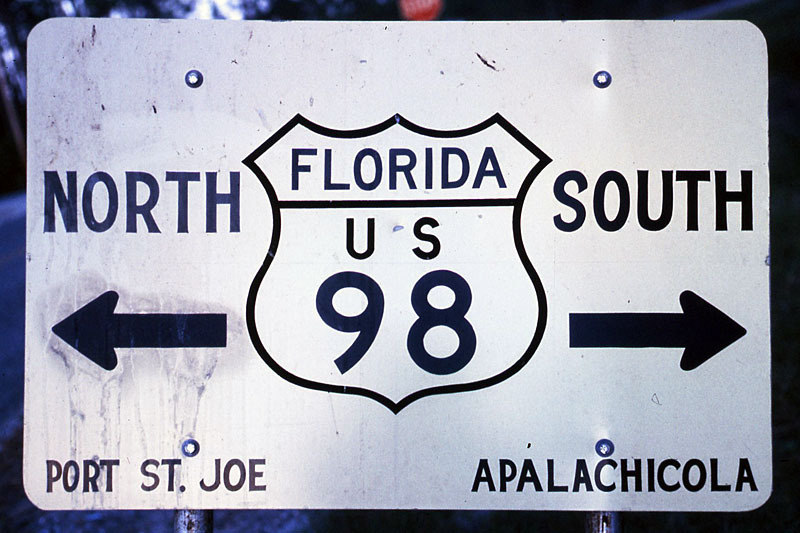 Junction with Florida 30A, Cape San Blas. Photo by Jim Lindsay, 11/29/1975.